Light and fast: Weight saved – but not at the expense of comfort – to deliver a perfect sock for training and racing. Ultimate comfort: Delivers increased compression aiding blood circulation and reducing swelling. Protection: Padding underfoot and around the ankles reduces the risk of blisters or sores. 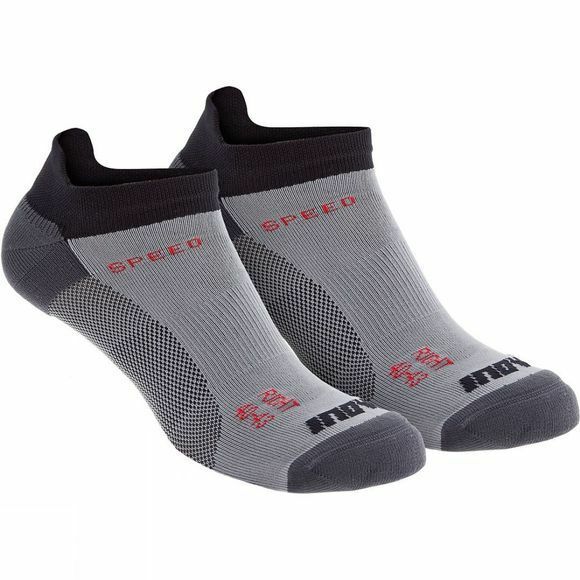 Increased durability: Utilizing fast-wicking and durable materials ensures the sock will last the test of time and distance. Options: Available in three ankle cuts – low, mid and high – providing options dependent on preference.